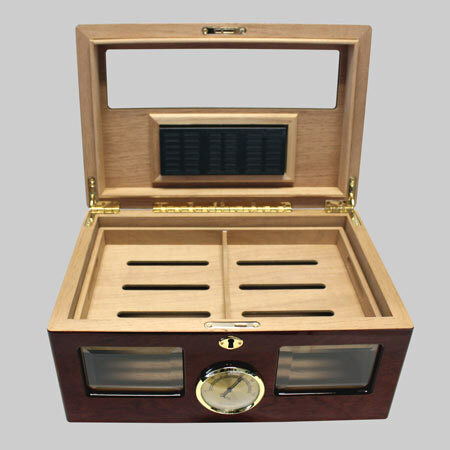 Glass top humidor for 300 cigars. With two trays, lock, external hygrometer and internal humidifier. Available in lacquer mahogany finish. Dimensions: 19.5″ X 12″ X 12.5″. Online orders do not guarantee actual product(s) in stock. Product(s) could be substituted. Prices are subject to change without notice. Prices are subject to all applicable taxes. Plus shipping and handling.